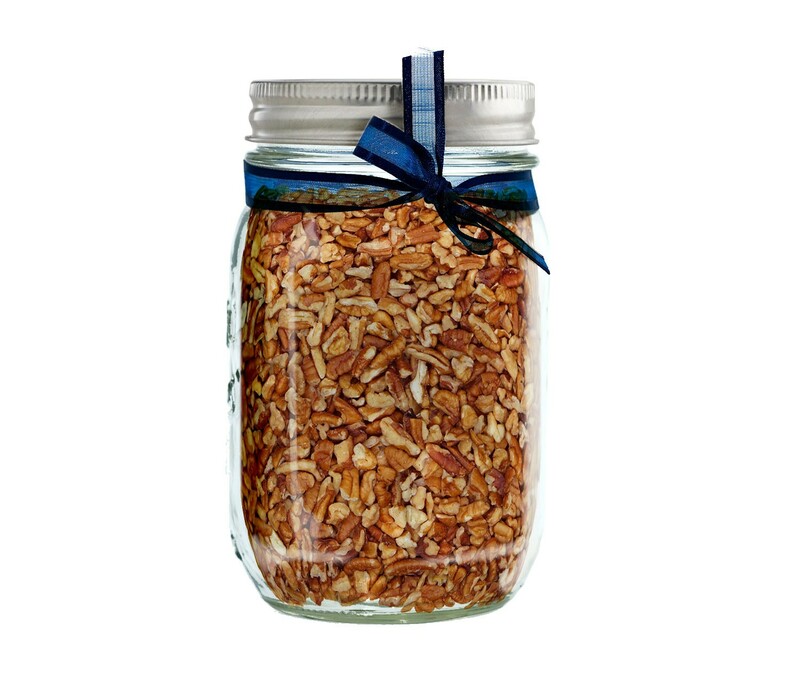 For a limited time, we vacuum seal our freshest Pecans and other select nuts in Mason Jars for holiday gift giving. Stock up and have Pecan Pieces Mason Jars on hand for last minute holiday gifts. Don't be caught empty handed this holiday. Stock pantries of those you love or bring holiday party nuts in Mason Jars, the timeless, practical container that is always appreciated. A home warming gift that complements any kitchen or pantry, Mason Jar Pecans are attractive to display and delicious to eat. Pecan Halves Mason Jars make great holiday gifts. Buy pint and quart sizes individually or by the dozen. You can use Pecan Nuts in their raw form or enjoy them toasted and salted. These nuts have a buttery delicious sweetness to them which makes them a fabulous addition to desserts like cookies, pies, tarts, toppings, as well as baklava. They are also a great addition to bring a crunchy texture into a dish and can even be enjoyable on their own. They are also a great add in for salads and American Southern cooking.